In Voro I have always seen a Maximus. You know, “Decimus Meridius, commander of the North Legion, loyal servant to the TRUE emperor”, and so on. He was the one that always ended up ruling, even though he wasn’t supposed to. He was the one who embodied the words of Maximus upon the Emperors request that he rule after his death; “With all my heart, no”. “That is why it has to be you”, Marcus Aurelius replies. So have Valencia insisted every time they have needed the man since he became a delegate for the club in 2005. Equally he has insisted he does not really want to be a manager. After Valencia’s latest Cesare, Prandelli, surprised Valencia by giving up and running home to Italy just before Christmas, Voro has yet another time come in to turn things around and guide Valencia to a now more than safe place on the table. He has allowed Carlos Soler to grow in to one of the most interesting talents in Europe, and Lato is on his way after starting consecutive matches ahead of Guillerme Siqueira. Voro now has one of the highest win percentages ever recorded by a Valancia coach and has turned a goal leaking team into a team of relative solidity. And that with largely the same players Neville, Pako Ayestarán and Prandelli failed with. Still I am convinced he should not stay at the helm next season, even if he himself seems to have gone outside the scripted role and changed his mind. I have arrived at that conclusion due to three main reasons. Firstly, Voro is unlikely to be a long term answer as someone Valencia can plan and build a sportive project around. We have all criticized the club for the lack of a true project, a style, set of beliefs and a system that forms the basis for how we develop players, who we sell and who we buy. Voro is a company man, the loyal quartermaster a pirate ship’s captain can turn to when he needs something done. Secondly, Voro’s tactical strength is also his greatest weakness. Whenever the squad has been in disarray, bereft of belief in the previous manager’s plans, he has stepped in with clear, simple ideas. He has tightened the defence, reduced distances betwe en lines and introduced clear tasks for each player. This works because Valencia does have a number of players of a certain quality, because many of them are of a type that needs clear instructions and because the players really like Voro. However, when he needs to change up his preferred team, when things do not go according to plan, he struggles to adapt. It would be hard from the matches his lead to draw out a clear philosophy. The match away to Malaga serves as a prime example. Resting players, he tore apart the established midfield (despite all starting), placing Carlos Soler on the right. The result was that all of what the Spanish call “automatismos”, the established patterns of play between the players, was seemingly lost. This was especially apparent between the midfield players, but also in how they interacted with full backs and wide players. Valencia were unable to control the ball and had around 35% possession after being dominated by Recio, Camacho and Fornals. Carlos Soler was isolated and lost, and was drawn inside to compensate, meaning he was neither where he’d be as a central midfielder, nor where Santi Mina or Munir would be as the right wide player. Tactical flaws laid bare. The question is; will an approach based on such simple concepts be viable over time? 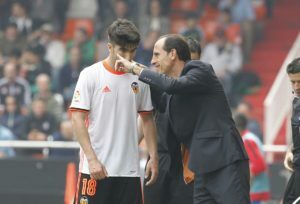 Lastly, Voro’s relationship with the players is interesting. I find myself wondering why the players are so fond of him. Why are they able to do under him the simple things they could not do for others? Evidenced by the performances over the last seasons, this is a squad that has the ability to play shoulder to shoulder with Barcelona, Real Madrid, Atlético and the others if they want to. It is a squad that practically eats managers. It is not a coincidence that the players Valencia want to keep are sold, and the ones that Valencia want to sell cling on. Imagine you are a part of a crew or a squad. The leader or manager does not have you as a favorite, but as you know he is the 6th one in as many years and that all seem to prioritize differently, wouldn´t you want to try to force that change to have another opportunity? As any squad, Valencia’s has its leaders among the players. These are consciously or unconsciously chosen among groups of players. If they support the manager, they will do his bidding and push in his direction. If not, they will either not do anything or actively work against him. 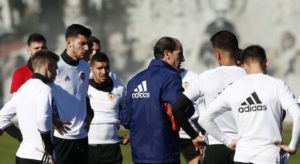 Over the years, with the lack of structure and club management at Valencia there are indications that the voice of the player has grown too loud, and their influence too strong. Similarly there are also indications that some of Voro’s success is down to him letting this voice stay loud. 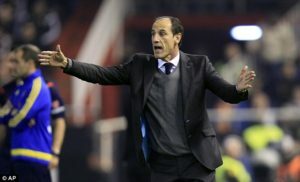 Voro is a man of the fans, but he is, even more so, a man of the players. Another strength with an equal and opposite weakness. Will he be able to spearhead the changes needed to establish and build an identity, with all its consequences? No doubt, Voro deserves more than one line in golden letters in the club history. However, if Valencia are to grow back into what it once was, at the end of the season we should thank Voro once again for his honest service to the club, his ability to rally the crew to steer a ship through a brutal storm and into a safe harbor. Then he should probably return to his position as delegate and we should probably give the task of building a future for Valencia to someone else. 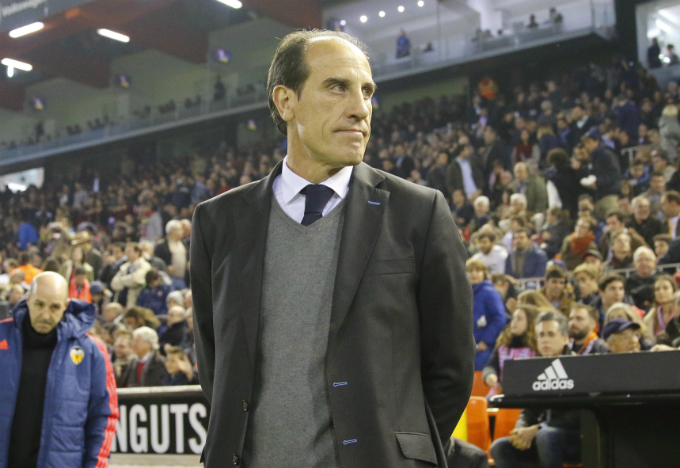 You never know, Lim might fail again – and if that failure Is Voro, then who will save us?